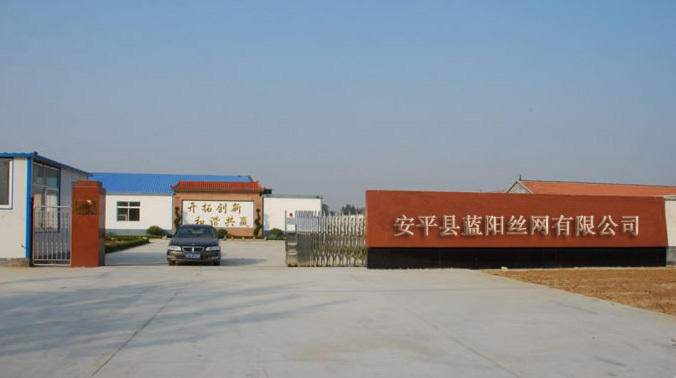 ABOUT US--Anping County Top Wire Mesh Co., Ltd.
Anping County Top Wire Mesh Co., Ltd. is a wire mesh products, production and sales of specialized enterprises. Advanced technology - the company has the most advanced weaving equipment, strong technical force, scientific process, quality inspection system, the use of quality raw materials, strict quality control, product specifications, quality excellent, the main products are: welded wire mesh, Stainless steel wire mesh, copper mesh, galvanized square wire mesh, expanded metal mesh, perforated metal mesh, chain link fence, fence, barbed wire, razor wire and galvanized wire, black iron wire, cut wire, tie wire, U type wire. The products are widely used in petroleum, chemical, construction, textile, medicine, aviation, aerospace, construction, highway guardrail and other industries. My company also based on customer requirements, customized products with different specifications of the metal mesh. In the market have made a good reputation.